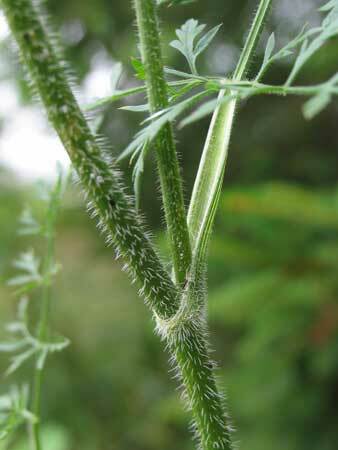 Distinctive features: Root resembles and smells like carrots. 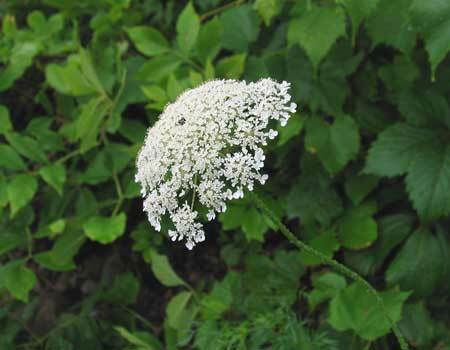 Flat-topped umbel of white flowers. Dry fields. 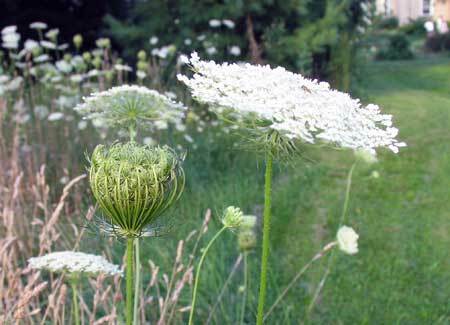 Flowers: Flat-topped white umbel, often with a solitary purple flower in the center. Summer & fall. 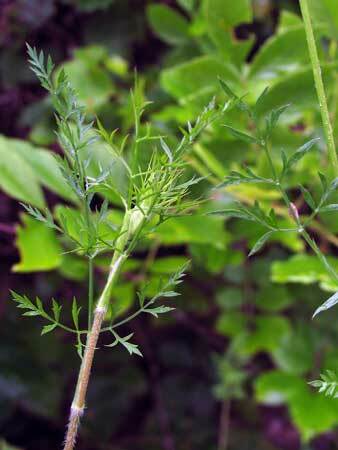 Edible/Medicinal/Poisonous/Uses: Root is edible - tastes like carrots. The first year roots are the best. 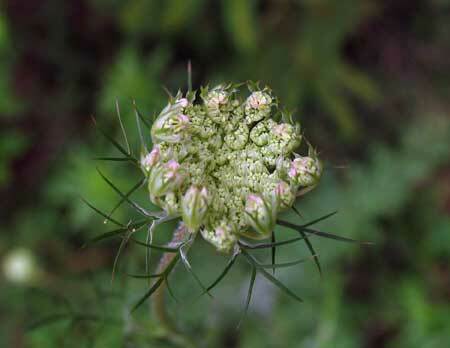 But be very careful not to confuse Wild Carrot with other similar species, some of which are DEADLY POISONOUS. 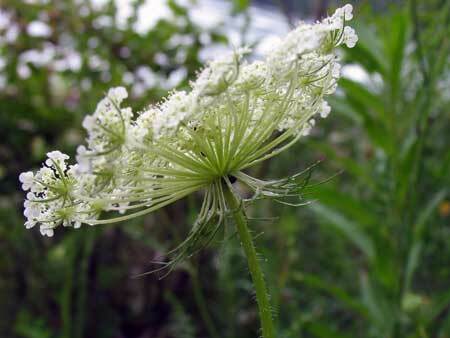 Be sure that the plant you think is WIld Carrot actually smells like carrots. And that it is growing in a dry field. Notes: I have provided a lot of photos of this plant, so as to help viewers distinguish it from its poisonous look-alikes. 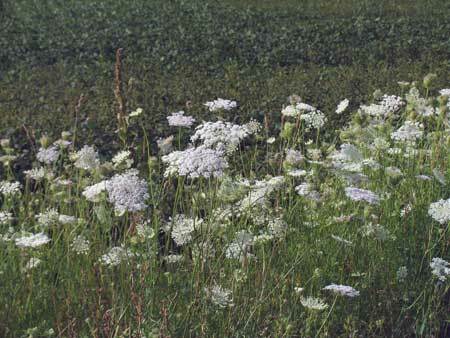 The information on this page has been copied from my Ontario Wildflowers website. 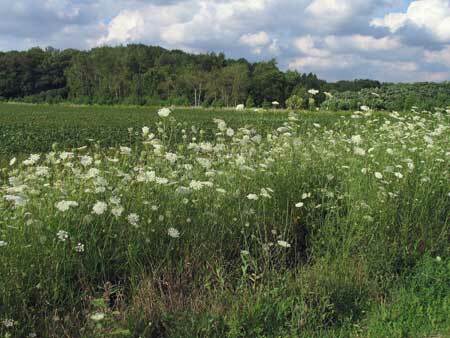 A field of Wild Carrots. They bloom from summer into the fall. 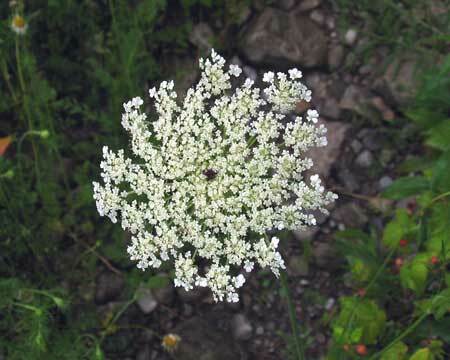 The flower umbel is sometimes rounded on top. 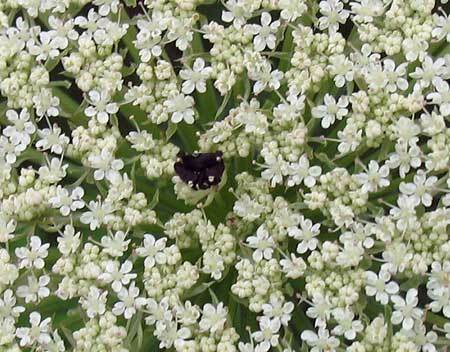 A top view of the white flower umbel. Note the tiny purple flower in the center (see below). A closeup view of the flowers. And here's a closer view of the solitary purple flower that is often in the center. 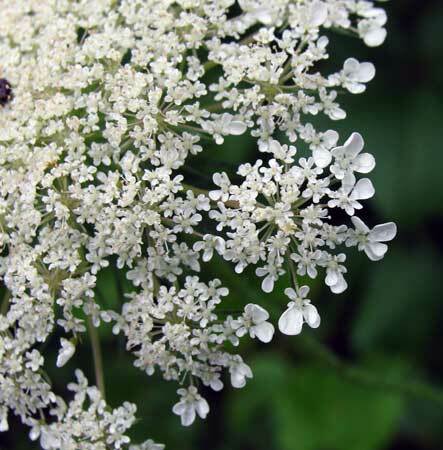 These bracts that hang down underneath the flower umbel are characteristic of this species. 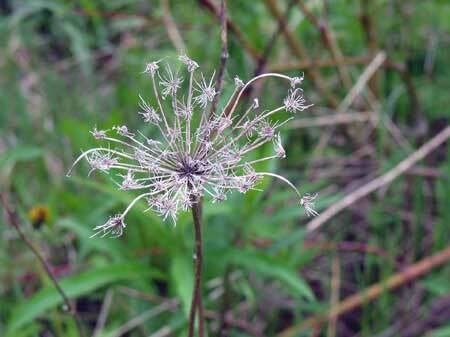 Most of Wild Carrot's look-alikes do not have these, or at least not as many. Flower cluster just starting to open. When the flowers are done, they curl up into a bird's nest shape. 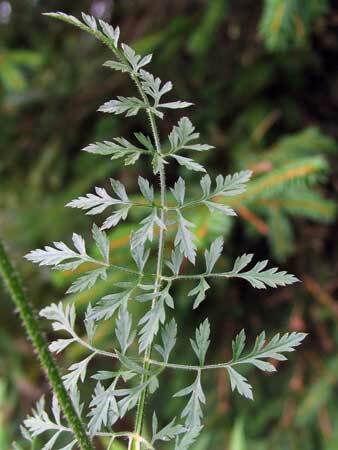 This gives rise to one of this plant's common names: Bird's Nest. This is what's left of the plant in the winter and following spring. A leaf. Note the feathery shape. A young plant in the spring. 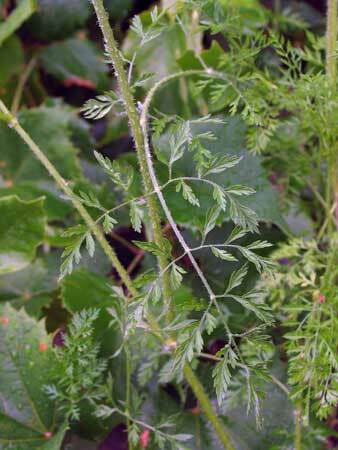 Closeup of the stem. Note the hairs.